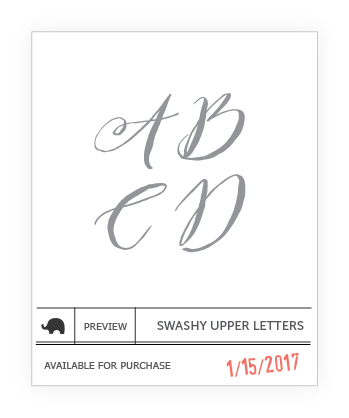 mama elephant | design blog: January Stamp Previews! Happy New Year, everyone! We'd like to welcome everyone back, hope you all enjoyed your holidays. Are you excited for ME's 2017 comeback? Let's get right into the previews for January's release. This month, we have 5 brand spanking new stamp sets for you and some really great new dies that you'll be sure to love! 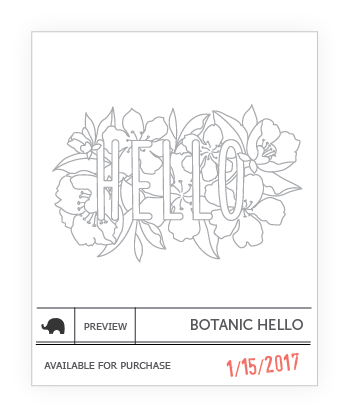 We have such a sweet line up for this release, starting with this large scale stamp Botanic Hello! Botanic Hello gives a nod to the coloring trend, but for me personally, this image alone is striking as is! There are so many different looks you can achieve with this one image! 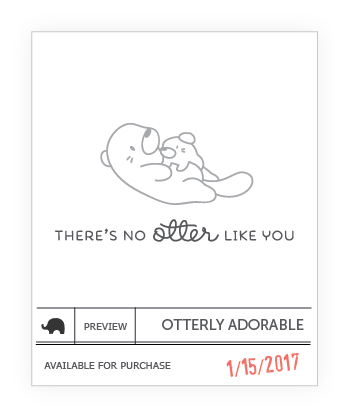 Just in time for all the love in the air is Otterly Adorable! We designed this set to be useful all year round, not just for lovey dovey cards. Just looking at the sneak peek image, isn't that the sweetest parent/child image? And who doesn't love otters?! 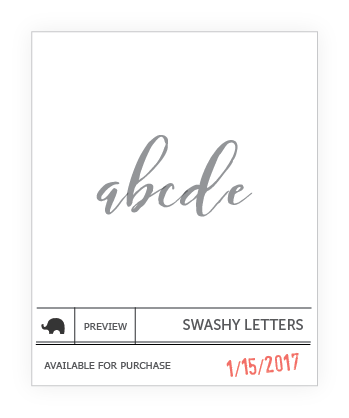 Our next alphabet set is this gorgeous script, swashy font aptly called Swashy Letters. This time, we are releasing both lower and uppercases at the same time so you can complete your collection in one shot. This beautiful lettering is perfect to personalize all your upcoming love-themed projects, don't you agree?! It has such an elegant, romantic flair to it! Last but not least, here's the peek for Just a Note which was part of our Anniversary promotions. Those of you who have been waiting for it to go on sale, wait no more! 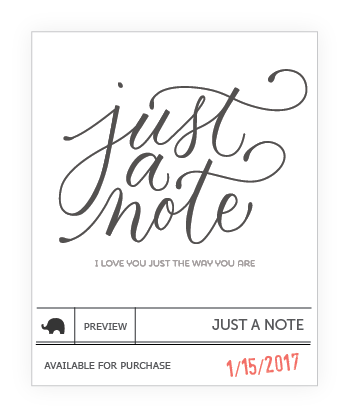 This could be one of most versatile sentiment sets yet as "just a note" pretty much covers everything, right? The companion sentiments are equally stellar, with some fun and unique sayings covering a sleuth of occasions! Well, that's it all the Previews! We hope the wait for worth it! Again, welcome back and let's make 2017 another great one! Thanks for joining me today! See you tomorrow! What a great way to kick off the year! Great collection! Yay I've been checking in everyday for this lol! Very excited about this release! Love the new Swashy Letters! Great stuff! Can't wait to see what's up tomorrow. Love the Hello stamp. Love all of these but Botanic Hello is my fave! Thanks for sharing, the Botanical Hello looks lovely! Really great stuff! Love the alphabet. oh my you definitely had me at HELLO!